This is such a great issue! It talks about all sorts of ways to incorporate flowers to your layouts and projects. 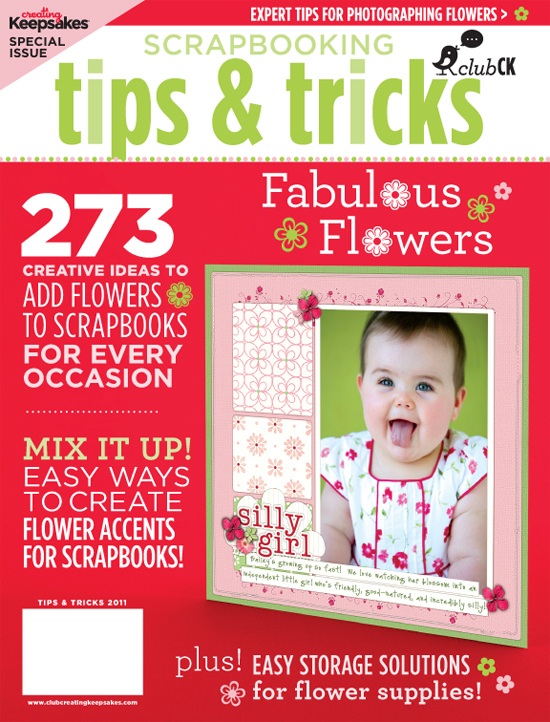 One of the great things, among many in this issue, is they actually show you how to make flowers. FUN!! Our very own Noel Culbertson and Wendy Sue Anderson both have amazing layouts in this issue! YAY!! We love them! Now want to win one? Great! Leave a comment here by midnight EST Saturday to be entered to win a copy!! Have a glorious weekend! We will be announcing all of this week's winners and also something fun too all on Monday! Looks like a fun issue! I can always use some inspiration! I love flowers! thanks for a chance to win this issue!! I'm sure this issue will exceed expectations! This looks like a great special issue! I love anything that gives me such fun inspiration! This looks like a FAB-U-LUS issue! I can't wait to see it! Thanks for the chance to win! 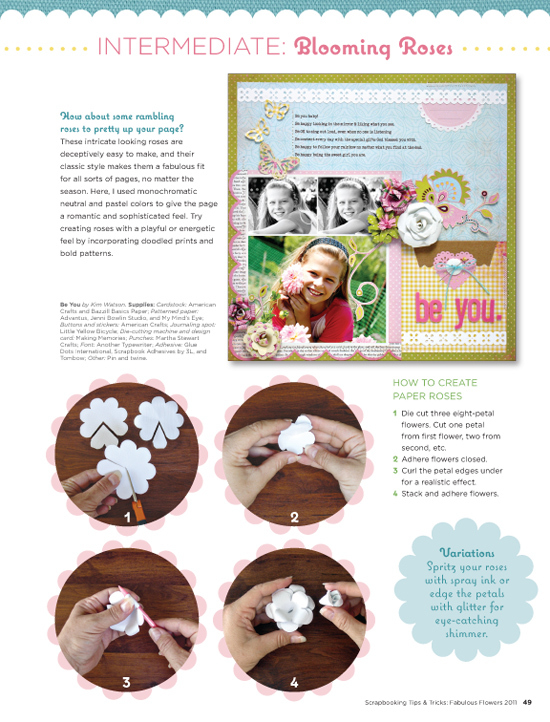 I love flowers for scrapbooking but need so much help about how to use them! So happy the issue includes technique instructions. I'd love to add this to my collection. Thanks for the chance! 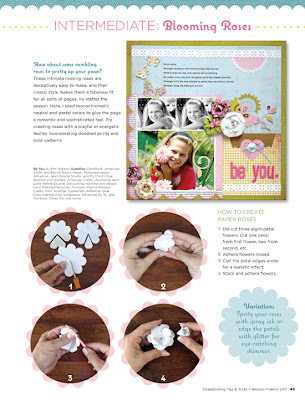 Oh I would love this, I need to learn to make flowers! I just love handmade flowers. There's nothing else like them on a page. Adds such personality! Love using flowers on my layouts. Always great to get new ideas. Can't wait to get my hands on this-I've been on a flower binge lately and this is just what I need. I like flowers on pages but I always seem to have great difficulty working with them. I know that this issue will give me lots of ideas and inspiration! Thanks for the chance to win! Looks like a fun issue! Thanks for the chance! I would love to win this issue! Love their ideas at CK and add this to my collection of must have magazines! I need all the TIPS & TRICKS I can get. LOL. Thanks for sponsering this. I love coming here and getting HONEST reviews on products I'm interested in. I love flowers, so I would be more than happy to win this special issue! And congrats to Noel for the pub! Looks like an awesome issue! I love flowers. Looks like an awesome issue with interesting techniques! Great new issue! Keep them coming! Oh I always love their Tips & Tricks issues!